The Killers confirm Joy Division cover. 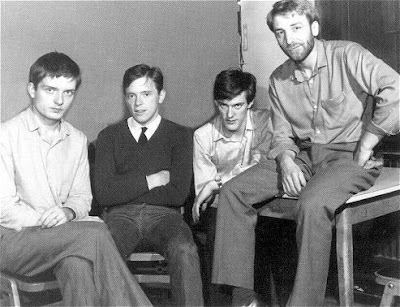 The track will feature on Ian Curtis movie.The Killers have covered the 1979 Joy Division song 'Shadowplay' for the soundtrack to the forthcoming movie about the life of the band's frontman Ian Curtis. The movie, 'Control', is based on the book 'Touching From A Distance', by Curtis' widow Deborah who also co-produced the movie. She is played by Samantha Morton. The film was directed by famed music video director Anton Corbijn. As previously reported on nme.com, New Order have recorded the incidental music for the movie, and are also mooted to be re-recording a number of Joy Division tracks. The biopic is set for a September 2007 release.